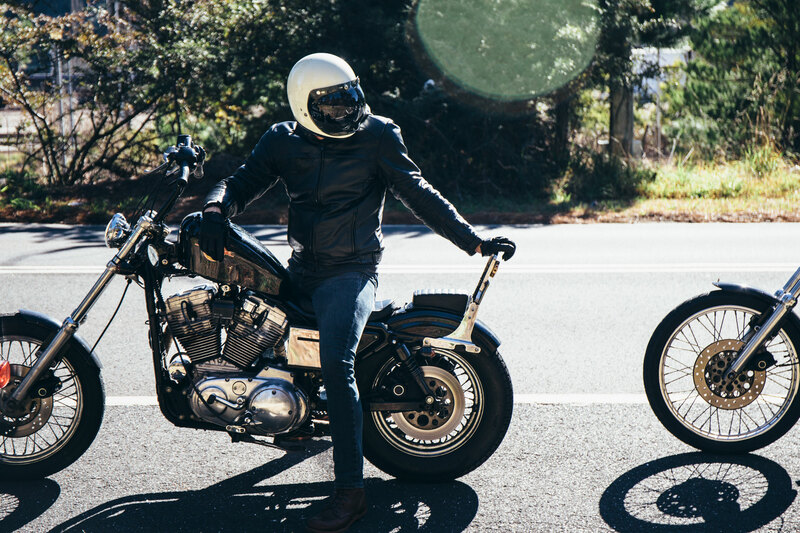 We chucked on two good looking items from motorcycle accessory brand Sartso, both boasting excellent Kevlar protection, comfort, and style. 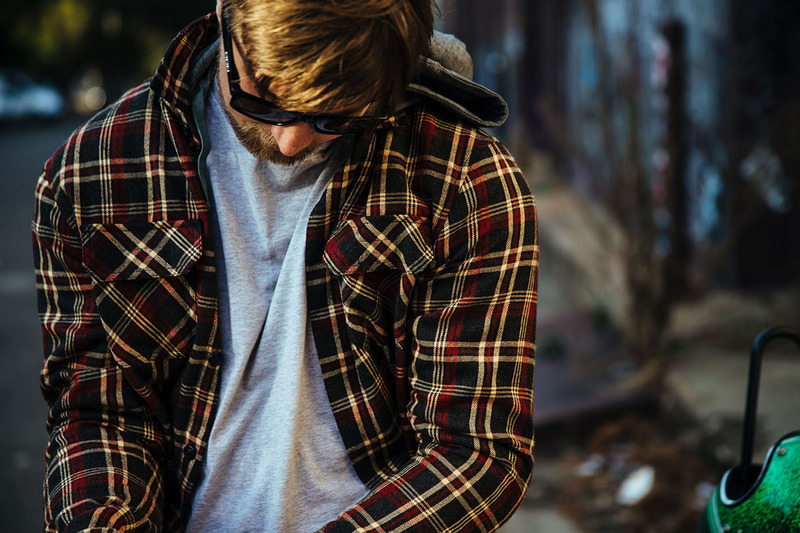 We’ll start with probably the most sturdy flanno you will ever wear. 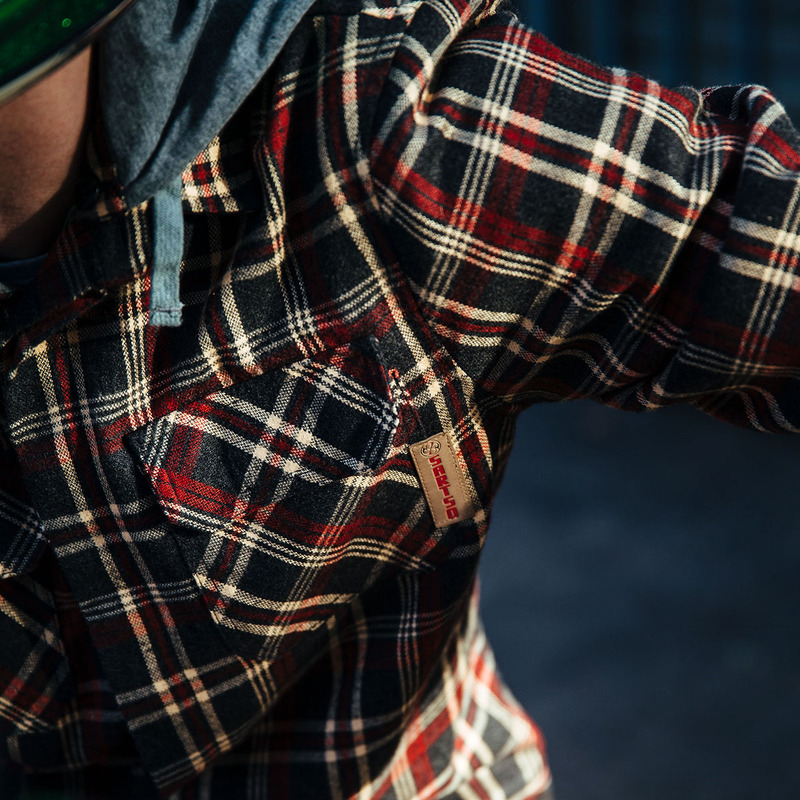 The Kevlar Flanno from Sartso is a far stretch from your usual $5 flanno from your local Lowes. Apart from looking a bit fancier, it’s also got a removable hood! Yep you heard it here first. Oh, it’s also got 4 second rated 380gsm Dupont knit Kevlar sewn into it. That’s right, beneath it’s relaxed casual exterior lies a seriously sturdy soul. 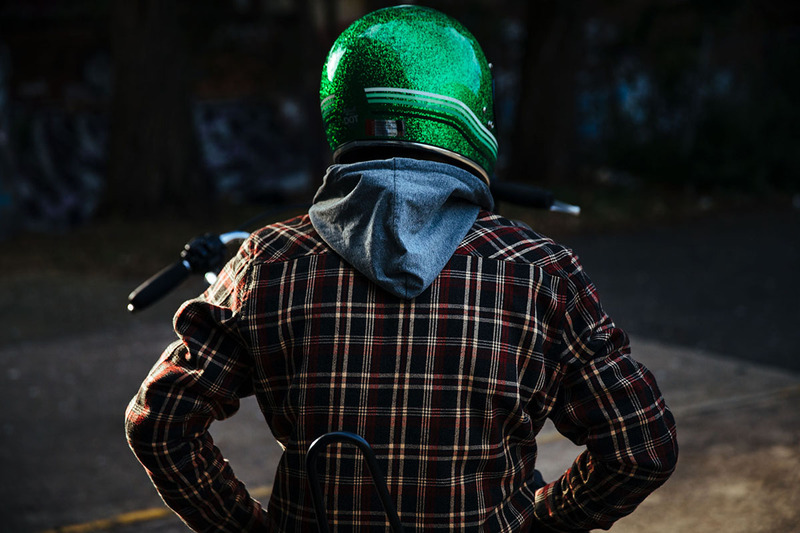 Now, what place does a Kevlar flanno have in the motorcycling world? 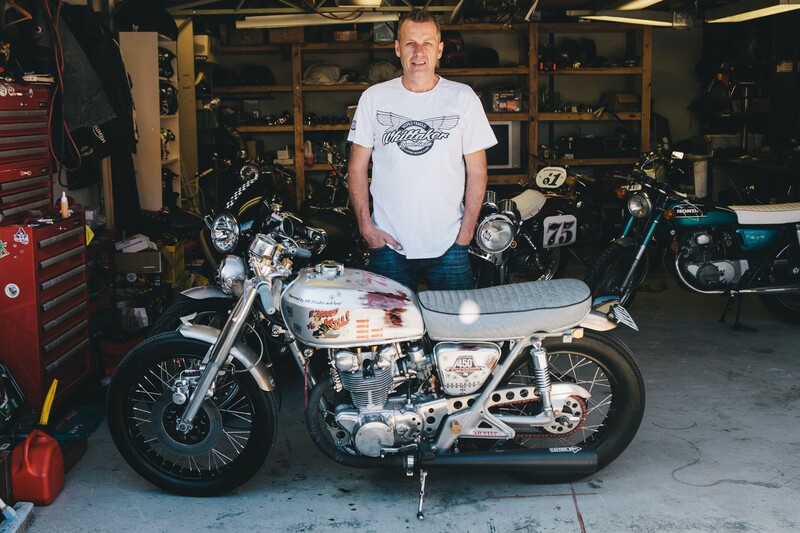 Amidst the debate we often see where riders bash their heads together proclaiming what we should/shouldn’t wear while riding, this comes in as a sneaky number. It seems to fall into a mid point, not quite a full on sturdy leather/armoured motorcycle jacket, but it’s not a regular piece of clothing either. Putting it on, it’s bloody comfy. Like, really soft. It’s like being hugged by a warm, velour fog. Over weeks of use, I found this flanno to be most useful when my large, imposing motorcycle jacket (or so it sometimes seems) would be left at home due to my own laziness and something more lightweight would fit the bill. 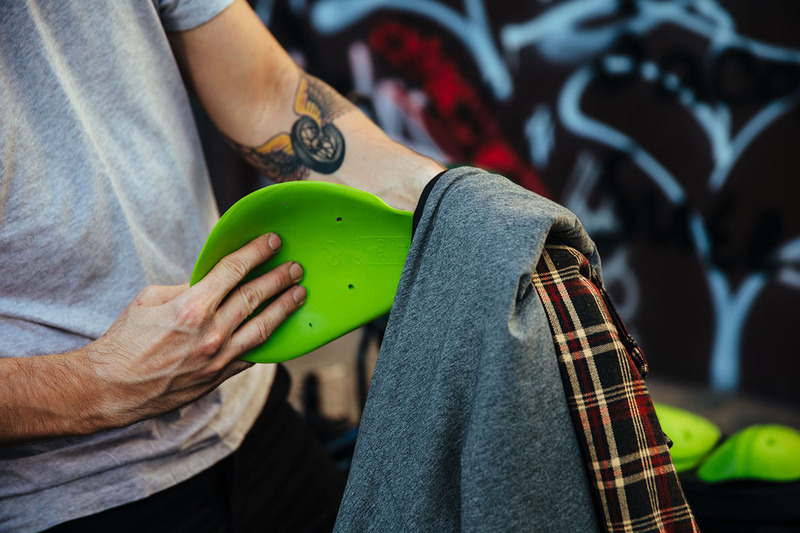 The Kevlar Flanno meets CE Abrasion standards, and also comes with some impact protection options. 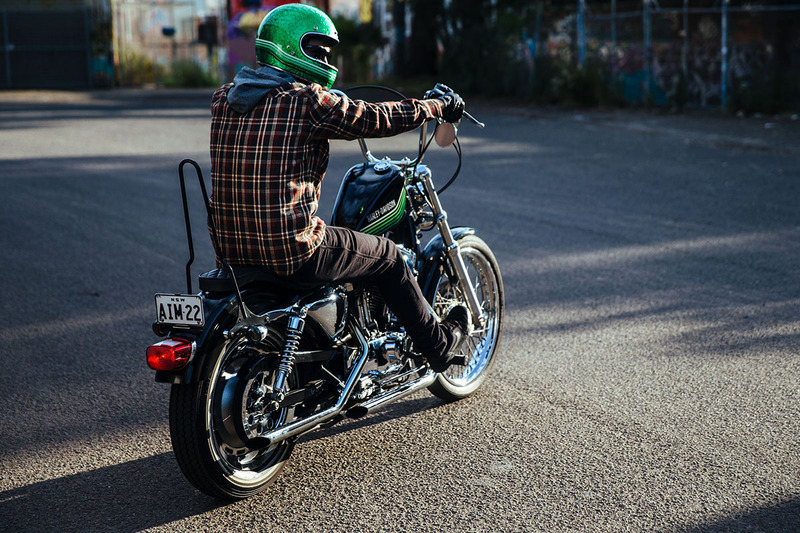 Armour pockets are located in the forearms, shoulders, and spin – as you would find in any other dedicated motorcycle jacket. The armour (sold separately) then can easily be slipped into these pockets for more protection, albeit a much bulkier jacket now. Wearing the Flanno with the armour options in, it felt a little strange at times. 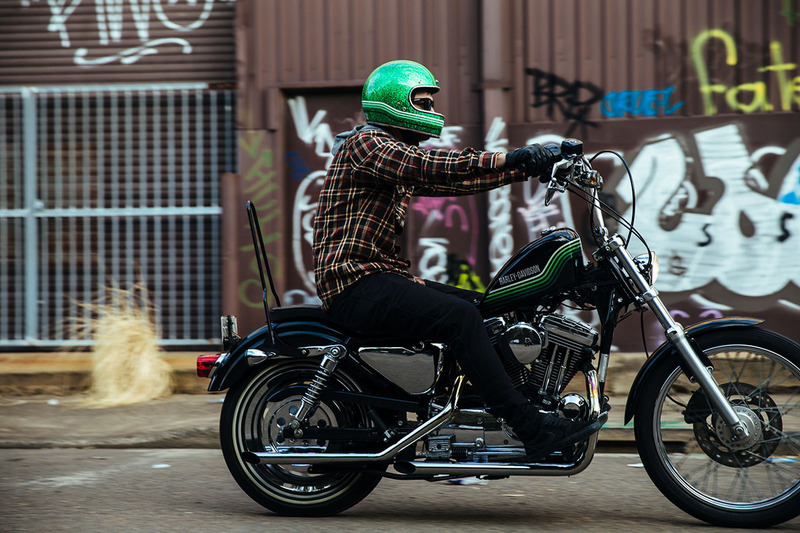 You’ll notice how much better your armour sits and stays in your full leather motorcycle jackets, due to weight distribution. Due to the Flanno being so much lighter, the spine armour would sit a bit funny, and have more movement. The forearms were also quite tight when the armour was added, which may be an issue for certain bike styles depending on your riding position and handlebars. It should be noted as well that I’m no beefcake – quite the contrary. I wore a size larger than I normally would wear, and the forearms were still quite tight with the armour inside. Something to be mindful of when considering this jacket if the armour option appeals to you. 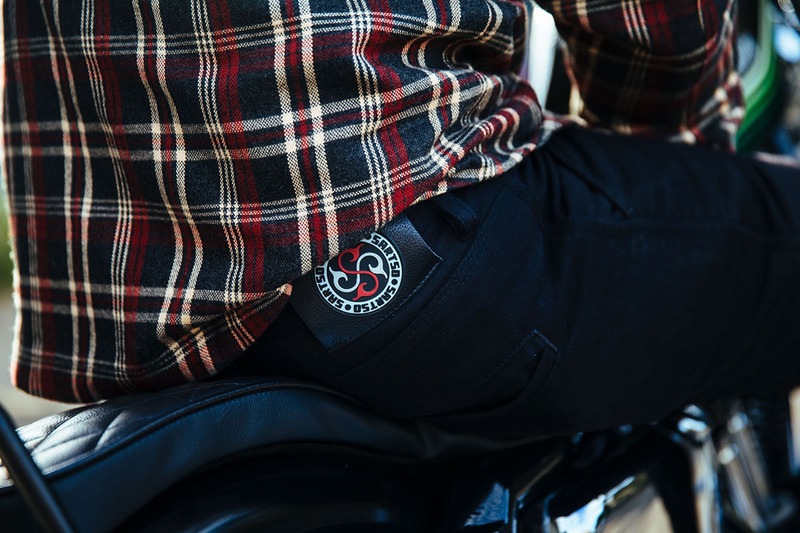 Moving south, we’ve got the Sartso 360 Black Kevlar jeans. 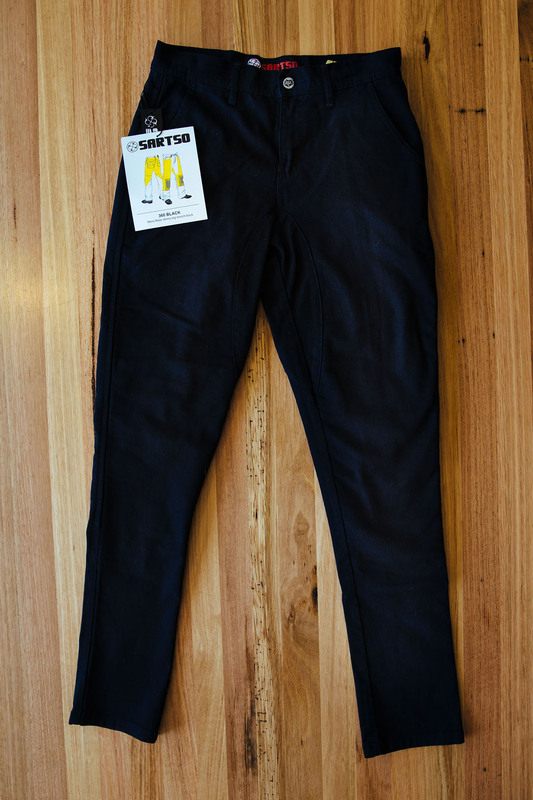 These are a men’s loose skinny leg stretch fit, and upon first inspection they look like your regular black jeans you’d find on most blokes around. 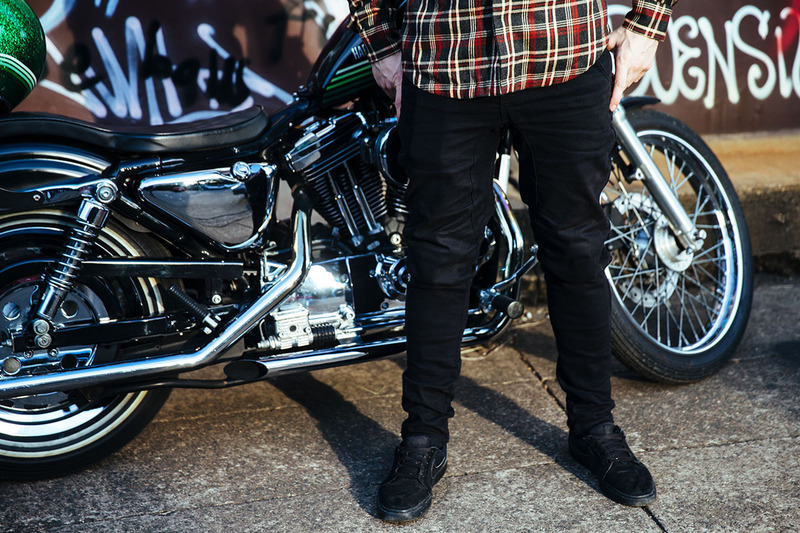 There’s an absolute ton of different riding jeans available on the market, each with different styles, cuts, and amounts of protection. Using these jeans daily, for both work and riding, they certainly were comfortable. 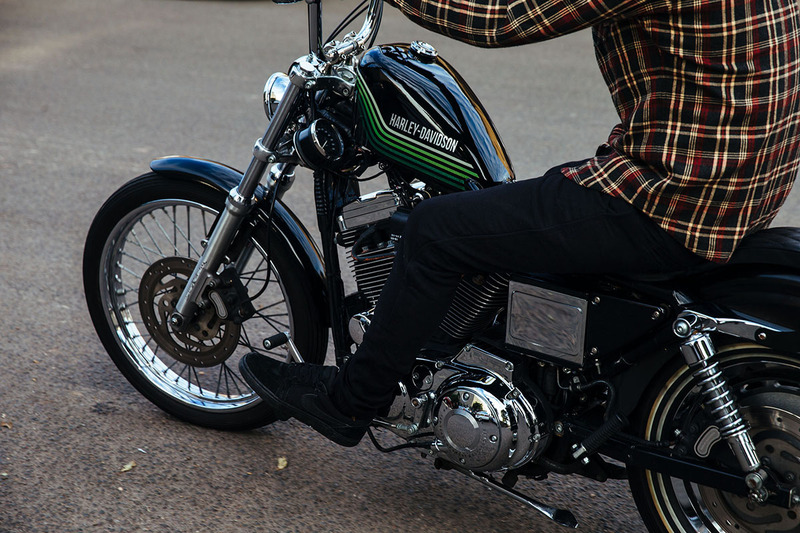 Excellent to wear on the bike, the purpose designed crutch allows stretch and movement when sitting on the bike, which also prevents wear and tear on the jeans themselves. Heaven knows how many pairs of regular jeans have been sacrificed through riding simply from crutch blowouts. Wearing the jeans around the office, on site, events etc throughout the day was a comfort as well. 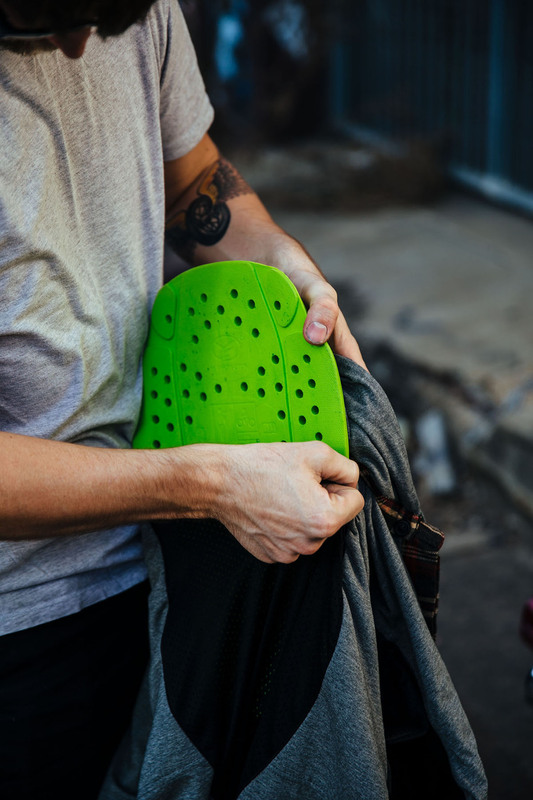 Given, in summer you’ll definitely feel the heat – but they’re designed so you don’t feel the road rash. 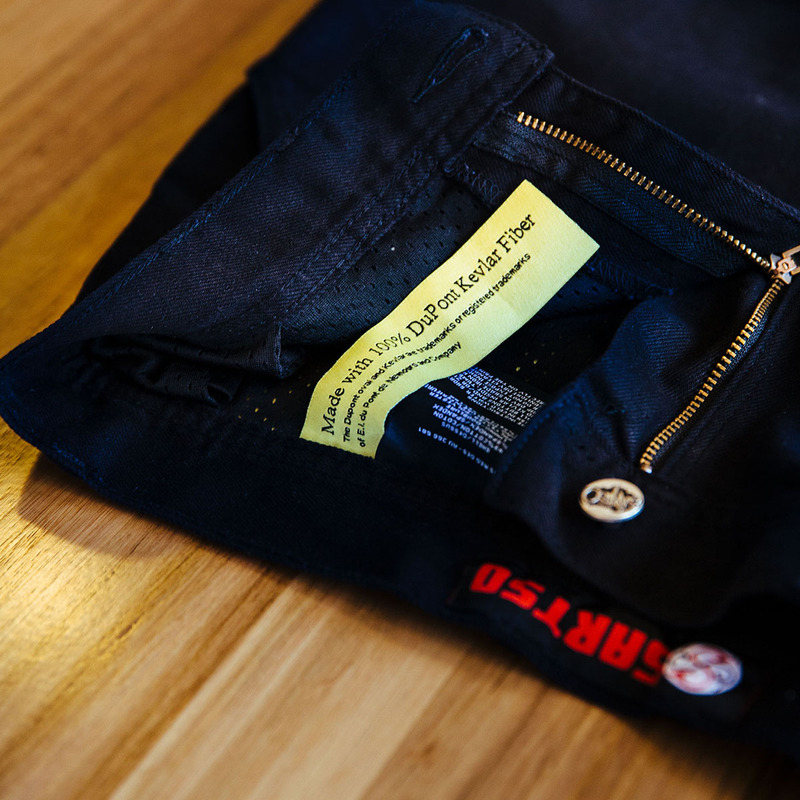 Engineered using lightweight denim, which is then reinforced with a protective woven lining placed in all major crash points, these pants will definitely help protect your legs in the event of a stack. 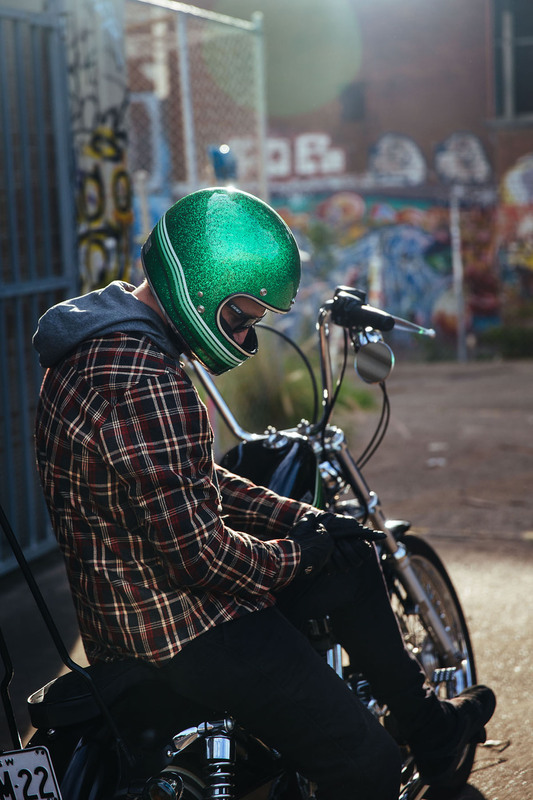 Sartso boast their Safety Cell 4 second Kevlar, which as you guessed it, is rated to 4 seconds of road abrasion. 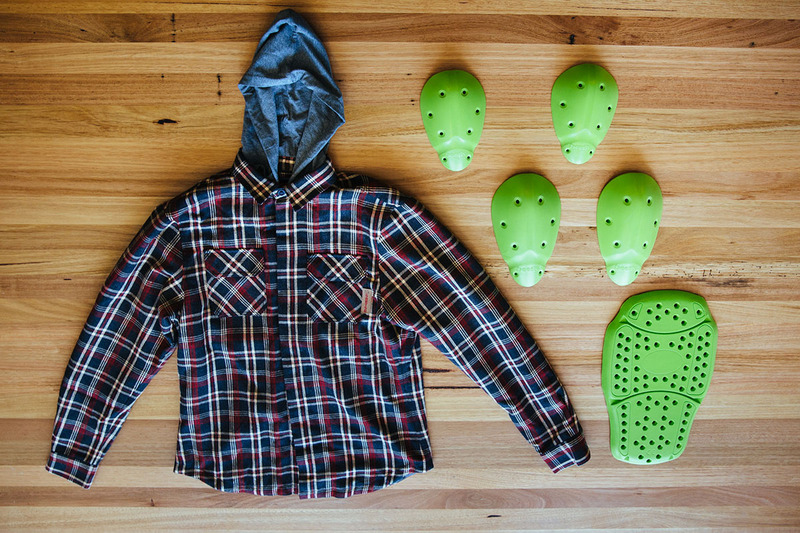 The hip and knees come with armour pockets for further protective options, and a breathable liner. Sizing seemed true to what your regular jeans would be, which is a rare treat in the world of jeans. 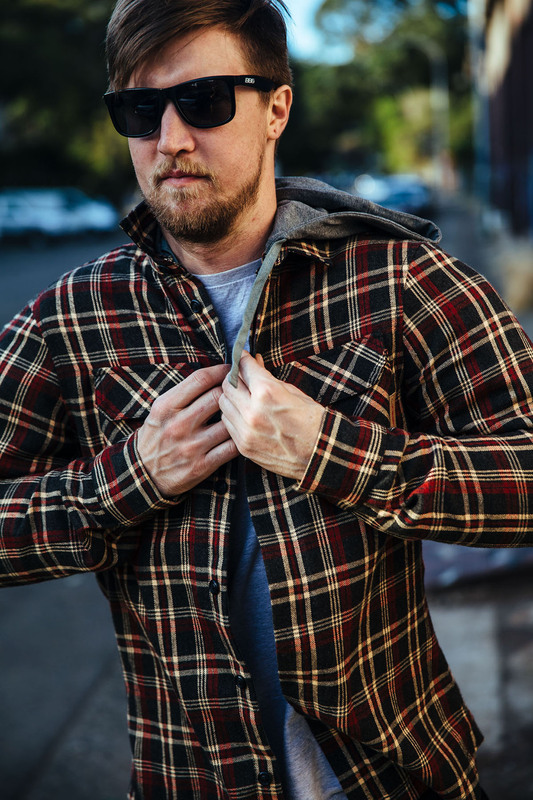 Conclusion: The Sartso Kevlar Flanno is incredibly comfortable to wear, looks great, and will offer you various degrees of protection. 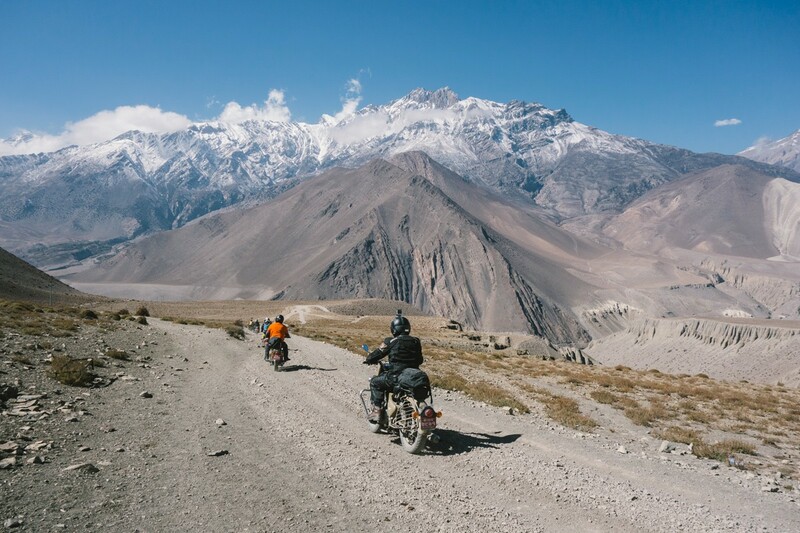 This isn’t a dedicated motorcycle jacket when compared to its full leather, armoured cousin – but it’s not meant to be. 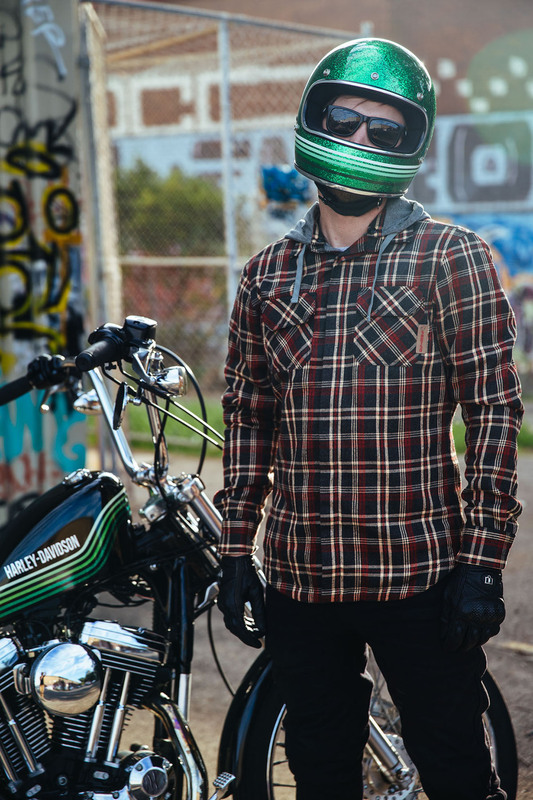 At $249.95 RRP it’ll definitely be the most expensive Flanno you’ll ever buy, but it’s also the most protective. 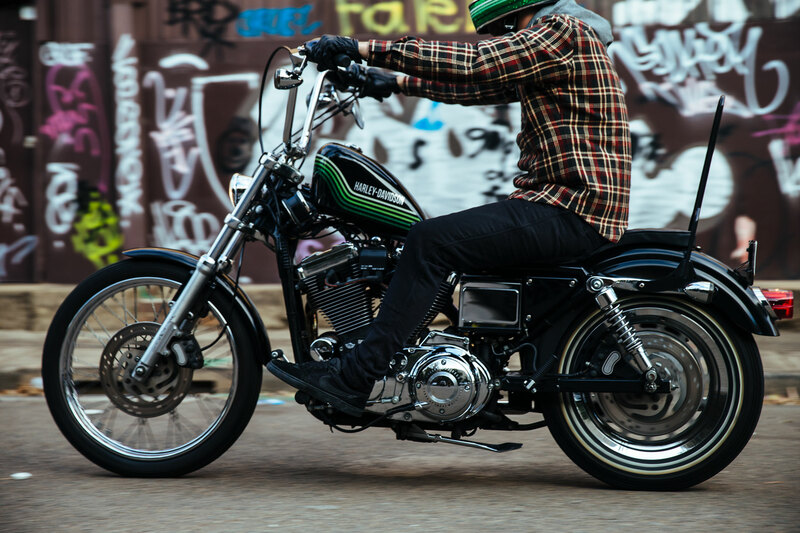 To check out some Sartso gear in the flesh, CLICK HERE to find your local dealer.